Hey hey! It has been ONE YEAR living in GLASGOW. Where does the time go?! 2 – And “I only had a few drinks”, means you had 8! 3 – My heart is terrified of a deep fried Mars bar. 4 – Everybody loves beer, but no one really likes Tennent’s lager. 5 – Blootered, hammered, steamin’, plastered and just plain pished… all these words mean “drunk”. 6 – The winter lasts 355 days of the year. 7 – Off those 355, 15 days you don’t drive: you slide your car from home/work/home. 8 – It can snow in 14ºC. 9 – At 15ºC everybody has “taps aff”. 10 – Supermarkets can be open 24h and from 9pm people go shopping in their pajamas. 11 – Rangers fans can be scary. 12 – Celtic fans become very passionate about Jorge Cadete when I tell them I’m portuguese. 13 – On a day of a football match between these two, the numbers of A&E attendances increase substantially. 14 – Everybody has been to Portugal once, but all they visit was Albufeira and they loved it. 15 – Dinner is served anytime from 16h30. 16 – I love haggis. I don’t want to know what there is in it. 17 – Irn Bru is more popular than Coca-cola. It also is the Glaswegian cure for hangover. 18 – It is true!!! Men in kilt don’t wear anything underneath. 20 – “Aye” means yes. 21 – I made a good progression in understanding Glaswegian, however I still get lost in jokes and I only understand 40% of what a drunk Glaswegian says. 22 – You can be called “pal” and “mate” which means friend. But that doesn’t mean they are your friends. 23 – In some neighborhoods you can be stabbed by your pal. 27 – There is always someone who talks loud to himself on the bus. 28 – And there is always someone who is too high to sit still on the subway. 29 – Glaswegian are the most kind people. 30 – When someone from Glasgow is hurt. Glaswegian stick together. 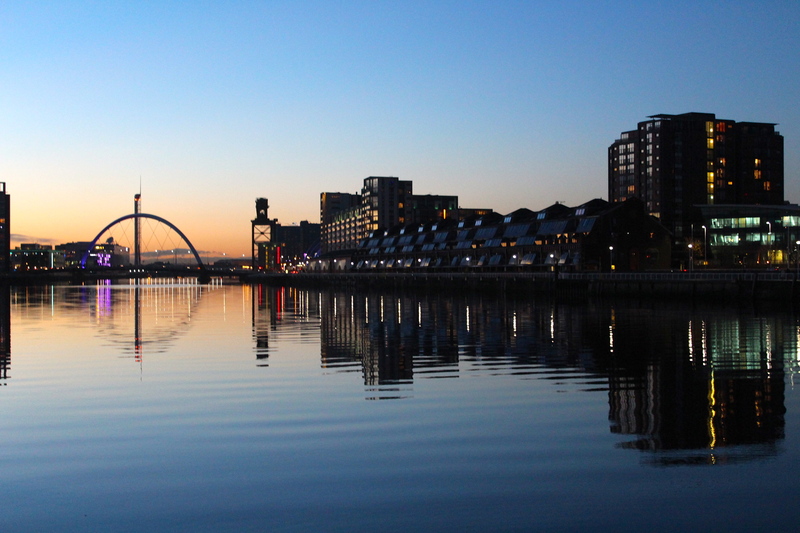 31 – And people make Glasgow.